BHU790A JHL848 (1957) Bedford SBG . Appleyard (Leeds) . Ex-National Coal Board . Wakefield . Seen ? . Since I last saw this bus in 1990 its had a molly-croft added & had its front end rebuilt , but now sat unused in a barn by 2011 . 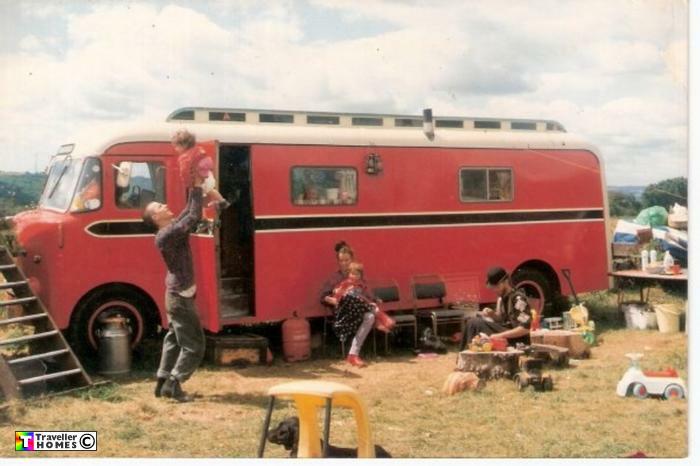 The first conversion from NCB to camper was done by Sean's family , then it passed into ownership of Dale & Karen in the early 1990's .Photo = Zippy .